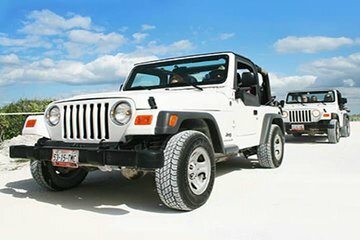 Ride a Jeep around the island of Cozumel and snorkel at Reefs National Marine Park with a professional dive master. This 5-hour itinerary features a visit to Punta Sur followed by a restaurant lunch. Hotel pickup and drop-off from Cancun and the Riviera Maya is included with your round-trip ferry ticket.